What Is the Silver Prices Forecast for 2016? Subject: What Is the Silver Prices Forecast for 2016? The gray precious metal market is having its own bull market in 2016, with many investors looking for a silver prices forecast to determine if positive trends will continue. Silver prices soared 27% in the first four months of the year, beating gold prices by 7%. Several factors paint a positive picture for a continuing upward trend, making the silver prices forecast bright. Industrial Uses for Silver – Silver is increasingly being used in industrial and commercial applications. In fact, most people have been exposed to several products in their home containing silver before leaving for work in the morning. These might include your alarm clock, wall switch, iPad, household plumbing, bathroom mirror, dishwasher, computer, and wristwatch. Silver is used in batteries, switches, and soldering. The material is a key component in jet engine ball bearings and the photovoltaic technology used in solar panels. Demand for Silver Jewelry – Remember when gold jewelry was so fashionable? Unless you live in India, it's not anymore. While white gold and platinum remain popular, sterling silver jewelry has seen a resurgence in popularity as well. The U.S. Silver Institute reports that 2015 saw another boost in sales, with more good news expected for the coming year. Silver Coins and Bars Sales – While jewelry is one way to invest in silver, it's probably not the most efficient. The demand for silver coins and bars has skyrocketed in 2016, which is a good omen for the silver prices forecast. In fact, the U.S. Mint reports selling almost 15 million ounces of the coins – silver American Eagles – in the first quarter of the year, which is 25% higher than the same time last year. If the trend continues, 2016 could be a record year for silver sales. When precious metal investors wish to avoid hauling home and storing stacks of coins and bars, many look to stocks and ETFs. Individual silver stocks are an option but may be more volatile, while silver ETFs and other funds allow for the best of both worlds – investing in silver-backed exchanges without the overhead or liquidity issues of investing in physical silver. Fortunately, the investment activity in silver ETFs in 2016 reveals a positive trend and bodes well for the silver prices forecast. In March alone, investors were snapping up silver through funds at the fastest pace in over two years. According to Bloomberg's tracked ETF, holdings increased by 903 metric tons in March, translating to the highest level in over a year. Just one silver exchange-traded fund example is the ProShares Ultra Silver ETF (NYSE Arca: AGQ). This ETF is currently trading at $39.88 and has increased 47.27% year to date. Another well-performing fund is the Sprott Physical Silver Trust (NYSE Arca: PSLV). The PSLV is an exchange-traded vehicle that holds actual silver bullion in a secured location in Canada. The physical silver can be periodically inspected and audited according to the terms of the fund, and there are no banks or brokerages involved in this one. Investors that hold PSLV as an investment for a minimum of one year can also benefit from a 15% capital gains tax, which is lower than the rates applied to most precious metals ETFs. PSLV is currently trading at $6.49 and has increased 9.62% in the past 30 days. 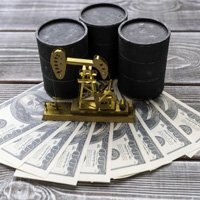 What does this mean for silver investing? Investors follow this ratio in order to scrutinize when it might be a good time to invest in silver, with the higher gold-silver ratio being favored. This is because when the ratio is higher, silver is more affordable relative to the yellow metal. Trends are important in these scenarios as well, however, which is why many novice investors tend to misunderstand the value of the gold-silver ratio. When the ratio moves to extremes, it usually means that there is good opportunity at hand for precious metals investors. This is where we are at now. The last peak of the gold-silver ratio was during the 2008 financial crisis when the number reached 80. After that high point, the price of silver soared to $49 and the ratio went back down. The current ratio and low price of silver shows that there is still plenty of room to get into the market, very cheaply. Even if silver were to return to its mean, which is around $22.35, there are still substantial gains available in this investment. As the positive momentum with silver is expected to continue well into 2016, investors are lining up to invest in silver. 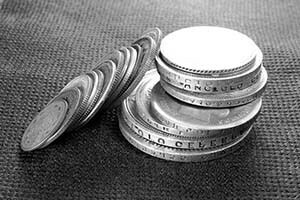 There are many ways to buy silver, including silver coins, silver bars, and silver stocks. As with any investment, remember that investing can be speculative in nature and experts recommend maintaining a reasonable level of diversification in an overall investment portfolio. To learn more about precious metal investing and the silver prices forecast, check out our free report: The Essential Guide to Buying Gold & Silver.